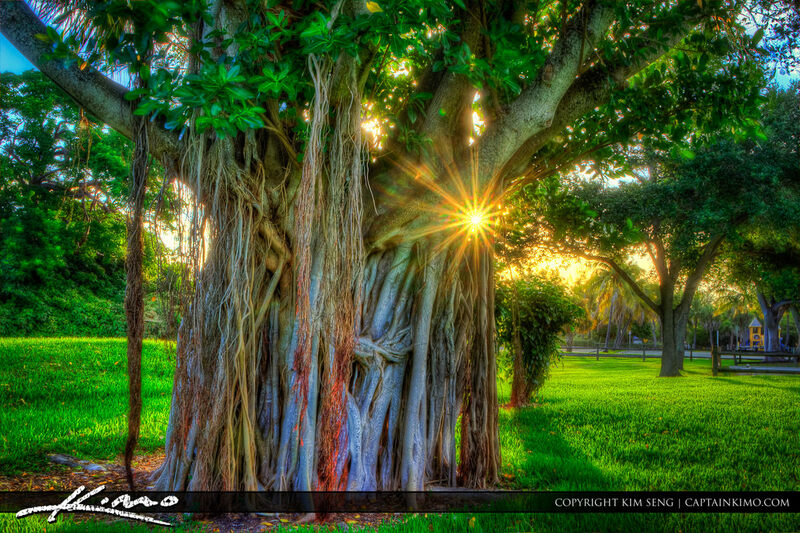 Banyan tree at Dubois Park in Jupiter Florida during an early after sunrise. I guess by now you all know I love photographing trees. I just happen to see this one while driving out of Dubois Park causing me to drive back in to take some photos. Five exposure HDR image processed in Photomatix Pro HDR Software and Topaz Plugins.